The biggest furniture fair of France takes place two times a year – the first one of it already in the beginning of the year. Interior furnishing, interior architecture and textiles were focussed from the 24th until the 28th of January of 2014 on the Maison & Objet. But perfume, handworks, antiquities, arts and gift articles were also presented on the Paris fairground in 2014. About 3,000 expositors presented all kinds of novelties, outlooks and trends of the world of furniture for more than 80,000 visitors. The area “Now! Design à vivre”: was especially desired: The young designer generation showed their ideas, including experiments in material, usage and combination. In general terms, the mix of different styles is what’s important in the design world in 2014. Different expositions will be surrounding the fair – from abstract arts up to landscape photography there will be something interesting for everyone with a sense for aestheticism. Already the title of the program as “Elsewhere” will attract curious minds. It is no wonder that the “M&O” as visitors and fans like to call it, organises a fair in Asia from the 10th to the 13th of March of 2014 for the first time. Singapore shall follow the Paris example and become the institution of furniture and interior design of the eastern hemisphere. The chances are good: more than 2500 expositors already agreed in participating in January. With all the international relevance: Besides many worldwide working manufacturers, the Paris Maison & Objet also focussed on the homely markets this time, with brands such as Bacsac, Domestic, Lexon, Moustache and Petite Friture. 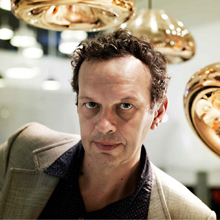 A big prize will also be given on the Paris Spring fair: The Britain Tom Dixon was chosen the “Maison & Objet Designer of the year“ 2014. This has to be celebrated – how practical: Dixon presented his new bar-set on the Paris fair. After some of the most famous museums of the world, such as the Victoria and Albert Museum, the Museum of Modern Art and the Centre George Pompidou exposed diverse objects by Dixon, the designer will now enjoy the next award. The Maison & Objet justified the award with the autodidactic skills and the passion of the all-rounder Dixon. Designs by Tom Dixon include ”a whole universe of different and unusual experiences” , explained the jury. There’s no wonder that the Britain likes to be inspired by situations where he doesn’t feel well – since nly where there is something unusual, new ideas can emerge. What can we expect from Tom Dixon in the future? Especially the unexpected: A book and a perfume will emerge now. The M&O Designer of the year luckily (for us) doesn’t feel 100% well still.